I, for one, am regularly despondent over the fact that Ford quit making the GT, their street-legal successor to the legendary GT40 race car. Now custom carbuilder Galpin has something up their sleeve that could take the concept even higher. 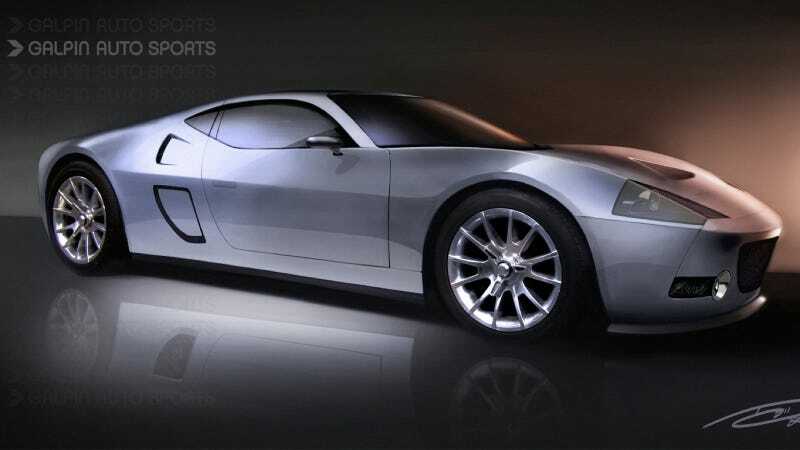 This is the Galpin Ford GTR1. It's set to debut at next month's Pebble Beach Concours d'Elegance, and Road & Track says the goal behind its development was to show what a Ford GT would look like had it continued production. They're certainly starting with the right running gear. It uses the GT's platform coupled with a 5.4-liter twin-turbo V8 good for a whopping 1,024 horsepower and 739 pound-feet of torque. Top speed is estimated at 225 mph, and the body comes in aluminum or carbon fiber. Full specs and pricing will be revealed in August. I can't wait to see what it looks like in person. Plus, maybe Ford will be inspired to bring back a GT of their own. What, are you guys just gonna sit there while someone else does your job for you? Get crackin'! There are Ferraris out there who need to be taught some manners!